IC Radio will be picking back up this next week with Episode #14. Guests and date/time are TBD but will be posted soon. I’m going to be discussing our community’s player contributions, how they’ve influenced the game itself, and why they’re critical to IC’s growth and survival. This is partially related to the recent situation with IC-Radio and @MTG_Dad’s show, but there’s a larger story to be told about our collective history. A side-story about giving Render, who was forum-banned, an off-site family forum against the staff’s wishes. @MTG_Dad’s show and why it’s important to listen to it. I’m also going to talk about embracing optimism in the face of frustration. This is both in relation to the recent show controversy but also in the context of in-game diplomacy and strategy. Guests are still partially up in the air too, so if you’re interested in joining for the show, please do get in touch. More info coming soon, and I hope to see ya there! Alrighty, everybody, we’re good to go here. @Darrk and @HydroP will be joining me to discuss optimism, diplomacy, and player contributions. The show will start this coming Sunday, April 21 @ 21:00 UTC. The join link and countdown to the show is below for reference. 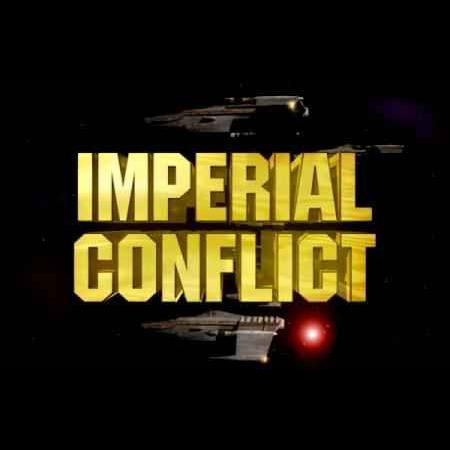 Join us as we chat it up about anything and everything related to Imperial Conflict, its development, and its community. If you have any questions you’d like us to answer on the show, feel free to post them here. You can also ask anonymously via the link below.